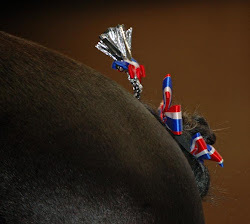 World Percheron Congress 2014: Attention Percheron Lovers---The Hour is Upon Us! Attention Percheron Lovers---The Hour is Upon Us! During the week of October 25th 2010, the most skilled and the most devout enthusiasts will be in attendance at the Iowa State Fairgrounds in Des Moines, Iowa. Join us in the new world class Richard O. Jacobson Exhibition Center as exhibitors compete on three separate nights in the Six Horse Hitch competition and for the crowning of the World Champion Gelding Six Horse Hitch and the World Champion Mare Six Horse Hitch. Competitors will also exhibit their Percherons in hand to win the title of Grand Champion Mare, Grand Champion Stallion and Grand Champion Gelding. 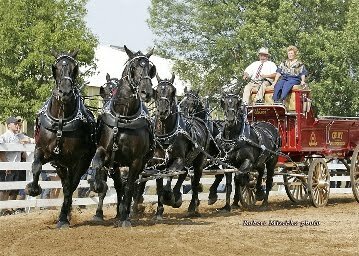 In between classes, thrilling exhibitions by Texas Thunder, the Priefert Ranch Equipment’s Six Horse Hitch of black Percheron geldings, will leave you on the edge of your seat! Farm team and riding competitions along with exciting horse pulls, plowing matches, feed team races, educational seminars and social activities round out the smorgasbord of activities. Stay tuned to this blog for more updates, photos and results.